Barbara Mazankowski - 1867 Private Wealth Management - Kelowna, BC | Raymond James Ltd.
Barb is the Branch Administrator and Client Service Representative of 1867 Private Wealth Management of Raymond James Kelowna. 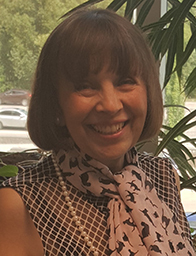 Barb is an important member of the team and works closely with Robert Schultz to ensure the highest standards of client service. Barb also works closely with the partners and associates and is actively involved in implementing the branch’s investment strategy and execution.